This is very close to how I would had considered doing a Rossa. There is a few different engined coupes but Rossas are much rarer. Should make it easy maintain in a rally environment with spares being handy. 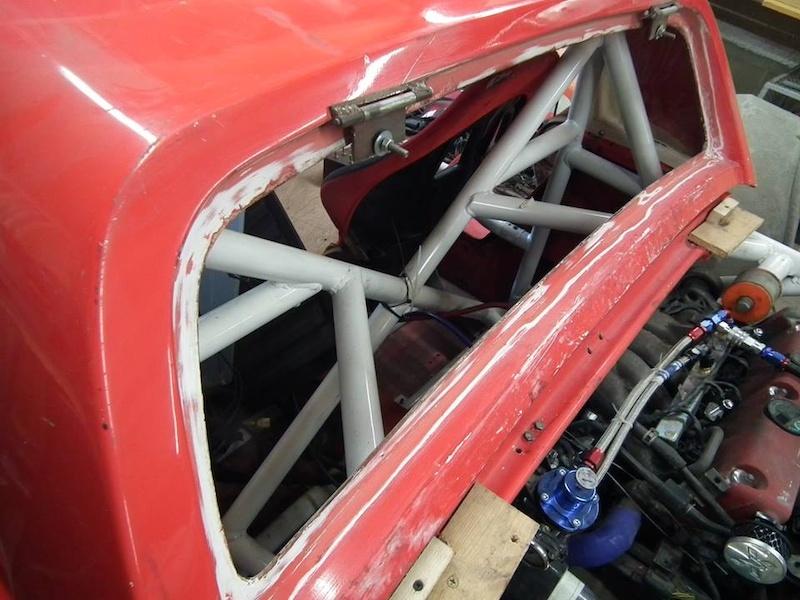 The frame and roll cage arangement to tie in the rossa chassis is spot on. 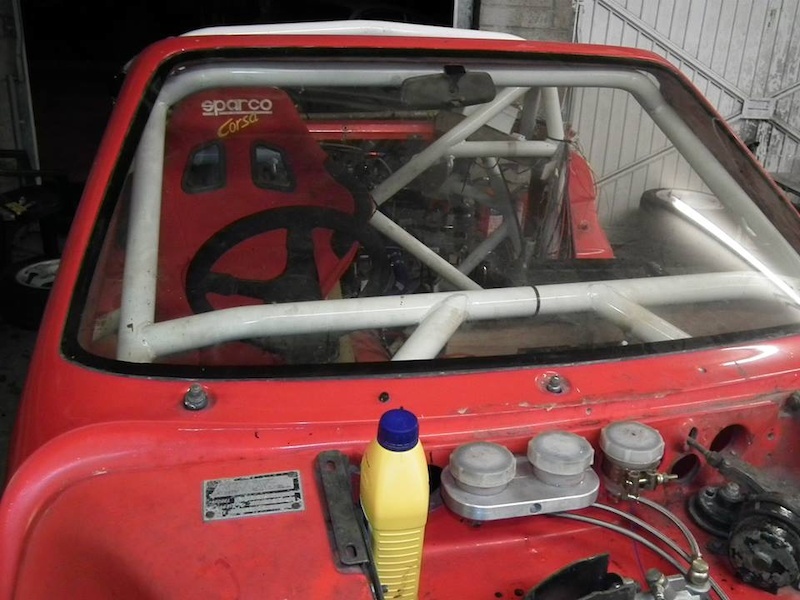 thought it would be that, if we cannot get the car passed for its log book as a rally car we have plans to potentially completely redo the cars geometry, make the front suspension inboard and such and then the same at the back, but currently we are keeping the suspension setup pretty similar to how it is. 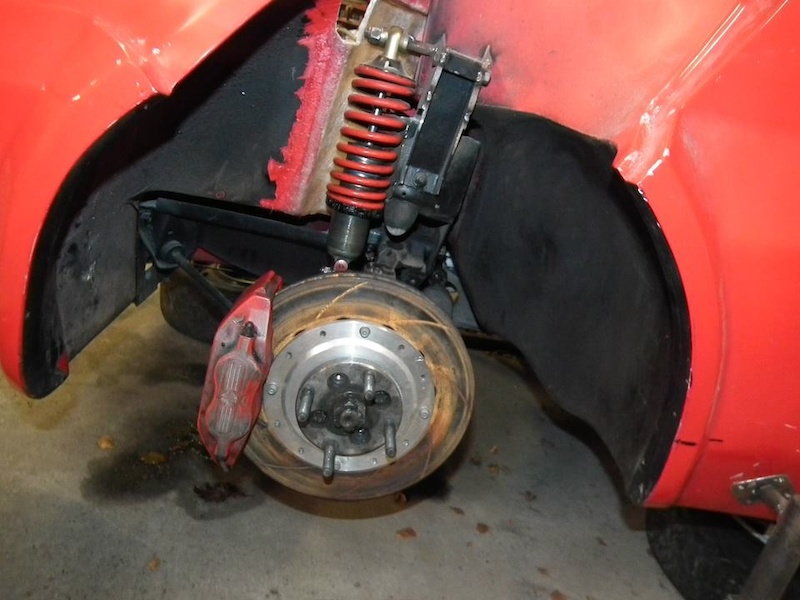 Here are a few more photos, have got the brakes working a bit still a few adjustments to be made using mg tf cup brakes on the front and type r front calipers on the back but we're working on fitting rear calipers of some sort so that we can have hydro and cable handbrake. Been up to quite a lot over the past few days, fitted wing mirrors, rear arch extensions. Looking good! 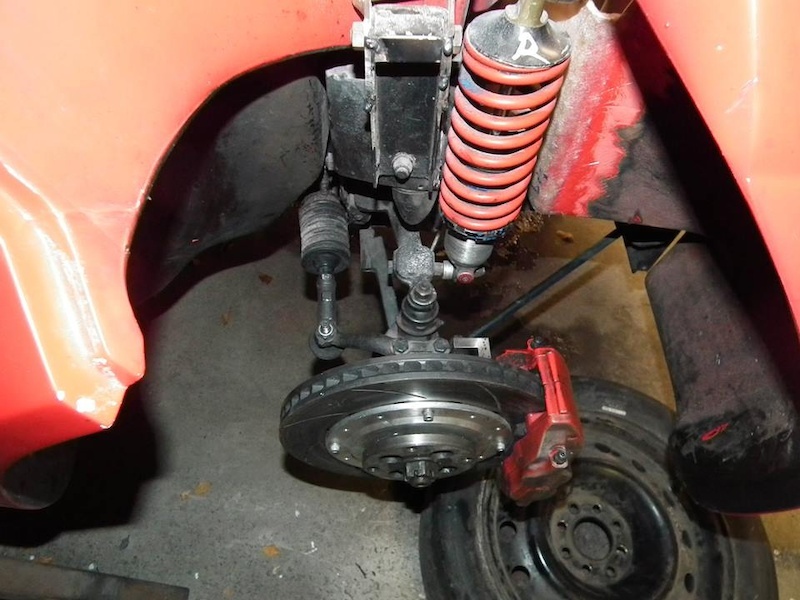 What sort of brake pedal set up are you using? I noticed remote reservoirs along the scuttle. Are you using an all-in-one type pedal setup with the master cylinders mounted low down? Hi Nathan we are using a KAD adjustable bias brake set up which has been cut and cranked to lower it to fit under bonnet. The clutch has been turned 90 degrees using a bell cranked lever which allows me to fit a different bore cylinder to suit the honda slave cylinder. Boy it is fast the acceleration is amazing, on the main straight we were quicker than 600-700hp M3s and the like but in the corners we were really struggling as the front brakes were overheating as we thought they might because we had put in bargain pads just for initial testing and the front ride height seemed to drop substantially more than we thought it would after settling in. As we became more used to the car and how it drives we were definitely becoming faster and faster as confidence grew but when on track we had to brake far too early so as not to boil the brakes, we we kept having to come in for a couple of minutes to let the brakes cool down and check for leaks, wheel torques etc. When we got back to the garage we took the front wheels off and checked to see if there was anything else that we need to improve regarding the brakes, it appears the calipers are sticking a wee bit especially on the driver side so it looks like they will both need a rebuild as well as the right pads for the job. Looking at the front suspension the reason as to why the front ride height dropped so much is, it seems that the pin shown here at the top of the coil over even though already strengthened since this photo has bent on both sides we suspected this had happened when at the track but couldn't be certain. sounds like good fun. Nice to have something different and show up some more expensive cars. Do you have any footage from the trackday?